What exactly is a thought leader anyway? Aside from a trendy buzzword infiltrating all areas of business, it is someone who is considered an informed opinion leader and go-to expert in their field. Their goal is to inspire through innovative ideas or even to show others how to innovate or replicate the success they’ve achieved. Not too bad, so far. Sounds like something we, as sales professionals, should aspire to. After all, who doesn’t want to inspire customers and prospects, or help guide them in achieving success in some way? Where becoming a thought leader proves perilous for the sales professional is when the focus on your voice and bucking the status quo with a differentiated point of view becomes so strong it overpowers the buyer’s wants, needs and desires. 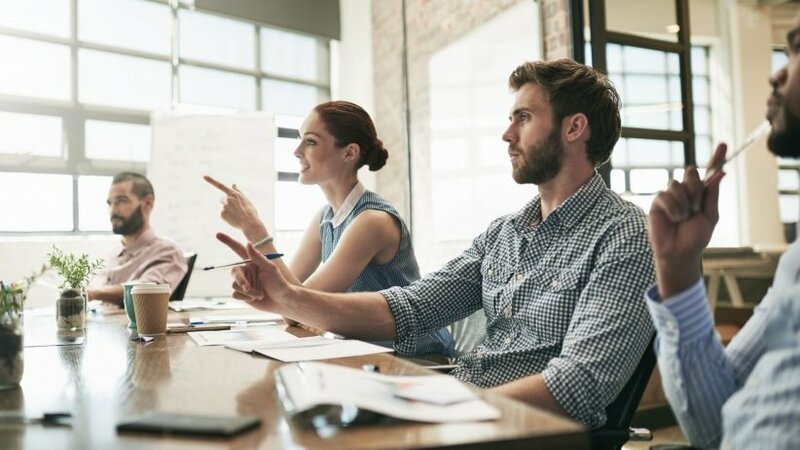 While there are many thought leadership traits that lend themselves to sales — having subject matter expertise, being able to build a community, and attracting visibility — it is a practice very much centered around “I.” But any good sales professional knows everything we do must be about “them” — the customer or prospective customer. Focusing on the “I” is a surefire way to ensure you never meet quota. Instead, why not become an advocate? That doesn’t mean you can’t develop an authentic voice and use it to attract buyers, but how do you do it? It just requires the right mix of listening and knowing what your buyers value. By now we all know the importance of creating buyer personas, but how well do you truly know your buyer? What are their traits, quirks, characteristics? What do they care about? What social networks do they use? What do they read? How many stages do they go through on their path to purchase? And what do they search for in each of those stages? The entire process of making a purchase has completely flipped. Buyers are savvier, more connected and more skeptical than ever before. They’re able to become experts on our products and services before even talking to anyone at the company. This shift in behavior makes it more imperative than ever to seek first to understand your buyer and their journey. By doing so you’ll gain insight into what topics they care about and where they are looking for them. This goes one level deeper than just knowing the demographics, and likes and dislikes of your buyers. It’s about understanding what odds they’re up against day in and day out. What demands do they have to meet not just at the office, but in their personal lives? Who do they have to report to? What are their big audacious goals? And most importantly, how can you help them achieve those goals, meet the demands in their lives, or even remove a few of the roadblocks that stand in their way? Maybe that’s by a guide that dispels a challenging task in their daily workflow, a podcast interview that inspires them and gives them new ideas to implement, or a blog post about how to streamline a particular process. Deliver value and expert knowledge. By answering the above questions and truly getting to know your buyers, you can better understand how to deliver value and expertise — and deliver it to the right place at the right time. But you must do it authentically. Meaning, you have to legitimately care about your buyers and the world in which they live. What are the trends shaping their industry and possibly impacting their roles? Who are the thought leaders, analysts and bloggers in their space? What industry events do they regularly attend? And how can you connect some of the dots for them? Beyond delivering expert, educational, inspirational, or informative content, what about simply connecting them to someone you think they should know in their industry or sending them a relevant book, authored by someone else, that will benefit them in some way? Becoming an advocate for your buyers will gain you far more street cred than pushing a thought leadership. That’s not to say thought leadership doesn’t have its place — we need innovators and status-quo pushers, but the sales professional stands to gain far more by becoming an advocate for their buyers.